“I’ve honestly never tasted salmon so good. The fact that I made it on my Foreman Grill really is, as the recipe says, unbelievable” – Margaret M., East Rutherford, NJ. This easy grilled salmon is, quite simply – unbelievable. With just a few common ingredients, you can turn ordinary salmon into extraordinary. And here’s the thing that makes this recipe even more unbelievable… it’s just SO easy to make. 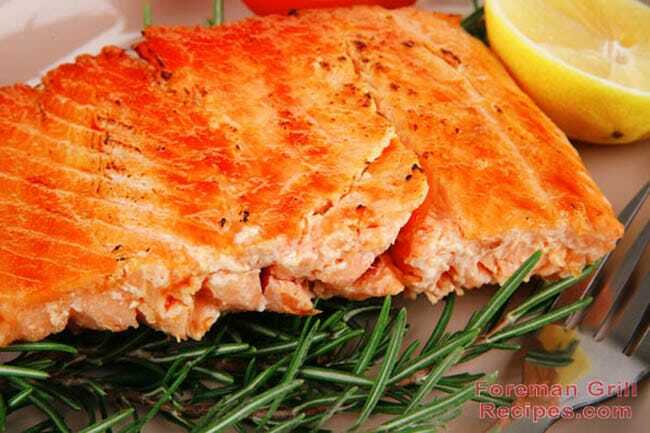 As we all know, salmon is a power house of nutrition and makes an excellent addition to any healthy diet. The key ingredients for this salmon recipe are the brown sugar and soy sauce. Use low-sodium soy sauce to keep the sodium content down, and it wont really matter if you use light or dark brown sugar. You can always try it with either and experiment with getting just the right amount. The whole recipe is pretty foolproof. Make this absolutely Unbelievable Grilled Salmon recipe and you’ll be, well, hooked. Place all ingredients, except salmon filets in a bowl and mix well until sugar is dissolved. Pour mixture into a ziplock bag and add salmon filets. Make sure filets are well coated, squeeze out any air, and refrigerate for at least an hour – a couple of hours or even overnight for more flavor. Preheat your George Foreman Grill with the lid closed for at least 5 minutes. Use the high setting for the first batch. If your grill is a particularly hot one you may need to adjust the temp down, but this is rarely an issue. Brush a little vegetable on the grill to help prevent sticking and add the salmon filets. Add salmon filets to the grill and close the lid. Grill for about 2-3 minutes. Flip the filets and give them a 1/4 turn. This helps assure even grilling and gives nice grill marks. Continue grilling for approximately 2-3 more minutes. Salmon will flake easily with a fork when done. Enjoy this recipe!! You can adjust the amount of lemon pepper and garlic powder to suit your taste. You’re gonna love this one, it truly is unbelievable! The salmon came out dry. I disagree Anna, I made 2 salmon filets tonight and they were wonderful! Be careful not to overcook your fish, cooking it too long will indeed make it dry. Ours tonight was wonderful. I grilled my first salmon last night and thought it turned out very well. flaky and tasted very good when finished. I did wipe the grill with olive oil before grilling to prevent any sticking. Made this last night for neighbors – wild king salmon. Salmon had been fresh frozen last season. The fish was a huge hit, even with kids. I was careful to remove thinner parts of salmon just before it was done, and left thick pieces on a little longer.